It is believed that at present, according to the Department of Health, 38% of Irish people are overweight ,while 18% are considered obese. Undoubtedly, these numbers are only set to increase in years to come. If there are 10 employees working in an office, there is a possibility that up to 4 of these people may be overweight. The average chair is designed to support an average weight and width. If a person is very large, obese or quite heavy, sitting in an average chair could provide an awkward, embarassing and even dangerous situation. Such is the case that there is even legislation regarding the requirements of office chairs for very large people. In Article 5 of European legislation, EN 1335, it specifies that “the mechanical safety requirements for office work chairs based upon use for 8 hours a day by persons weighing up to 110 kg”. For people over 110kg a lot of chairs are not certified to take the increased weight. Therefore, it is imperative that an employer adhere to the needs of any overweight or obese employees by providing appropriate seating. If the chair breaks due to not been desinged to hold the weight of the person over 110kg, the employer can face the risk of legal consequences. Chairs for very heavy people should include a selecion of features. They should offer a heavy duty mechanism which can accurately support the weight of an obese or larger person. The risk of chair breakage should not be a threat to the employee. The backrest needs to be much wider than average as should the seat width. There should be the option to adjust both the width and height of the armrests as well as the seat itself. 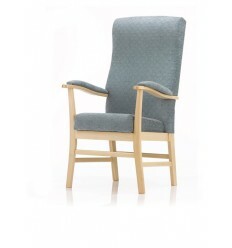 The fabric should ideally be a heavy duty material and the chair should allow ease of movement. Ensuring sufficient comfort levels is also important for the company, but more importantly for the employee. If an employee is squashed into a chair that was not designed for a person that size. They will not be comfortable, if they are uncomfortable, they will not be performing at their highest level. Companies should strive to provide all employees with a safe and comfortable workspace. 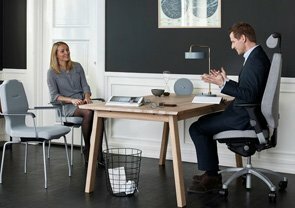 The chair is where office workers spend most of their time and overweight people are shown to spend more time sitting than average. 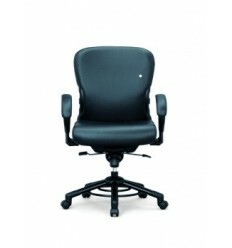 Getting the chair right is the best place to start to improve comfort and productivity. Why should a business invest in appropriate seating for larger employees? Apart from the requirements of the European legislation, one must consider the threat of injury to the employee. If the chair does not support the weight of the person, it is more liable to break and put the employee at risk of an injury and therefore, the business could potentially be the subject to litigation. If the chair does not support good posture, an employer will experience decreased productivity from their employee as well as a potential increase in employee sick days due to back pain or repetitive strain injuries. If it can be proven that these sick days were required due to injuries sustained from work, the employer may be forced to pay the employee’s wages while they are out of work and may face legal actions. An employee should not have to feel out of place in a workplace because of their weight. Breaking a chair, having to squash themselves into inappropriate seating or simply not being able to fit into a chair can cause unnecessary embarassment and emotional damage for an employee. 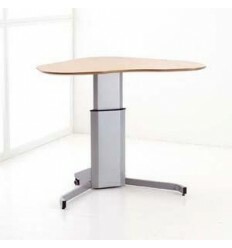 Given the statistics regarding the number of overweight and obese people in Ireland at present, it is necessary that each office assess the suitability of chairs and workstation for all employees, including larger and overweight people. Or call 01 6110 200 to speak to a chair assessor. KOS 526 XXXL - without neckrests. 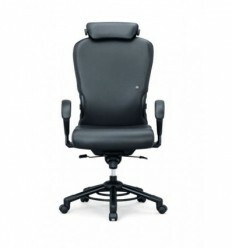 XXXL Office Chair KOS 506 with neckrests. 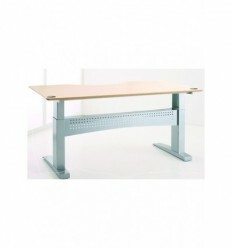 This office chair for the larger user is designed with optimal support in mind. 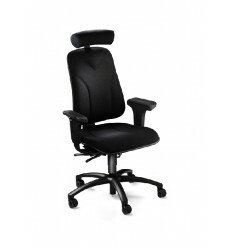 A large office chair for the bigger person with adjustable lumbar support to improve comfort.Commes with Adjustable Armrests to offer you the complete fit.